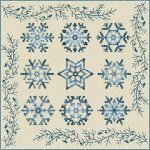 Snowflake is 90" x 90" - perfect size for any bed. 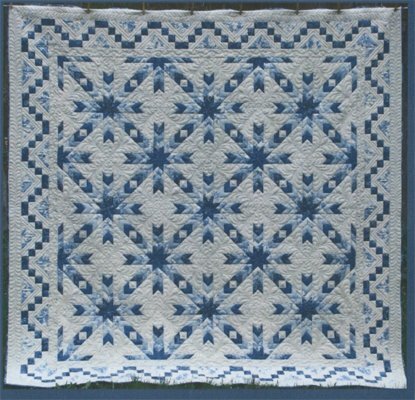 This detailed Snowflake block is easily paper pieced using our special Border Creek formula - "it looks complicated but it is not and it always goes together perfectly". The units are separated specifically so they can be easily chain pieced and with the accuracy of the foundations, these blocks will be perfect!